A few days ago I posted a pic on Instagram, glowing about how I was loving a new no makeup makeup routine I've been trying out . Really I feel like this could totally be classified as a 5 minute makeup challenge as well since it is super simple to achieve. Now I am not inventing the wheel here but I do feel like the main products I used to get this look are what make the difference. 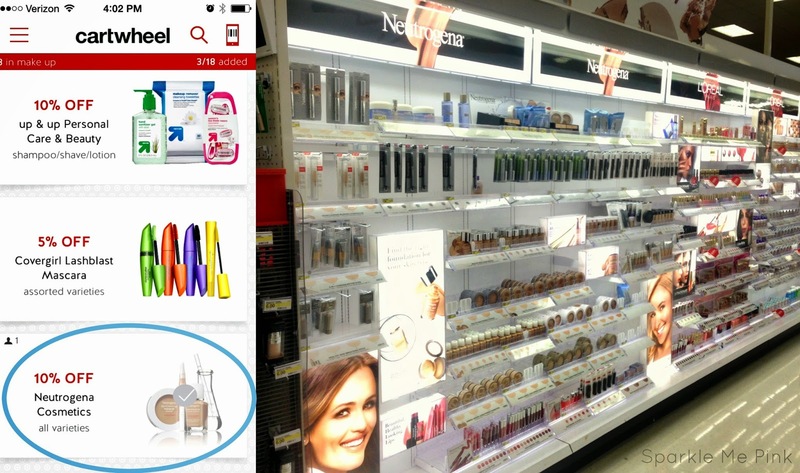 It all started when I was in Target the other day and realized I didn't own hardly ANY Neutrogena makeup. Yea. Me. The makeup queen. I had tried some Neutrogena products in the past and they were OK but I found myself curious to give these new formulations a chance. Especially since I also had a 10% off Target Cartwheel coupon too ! #score ! By the way while I was there I found out that Target is going to be hosting a Beauty Concierge event beginning August 24th. 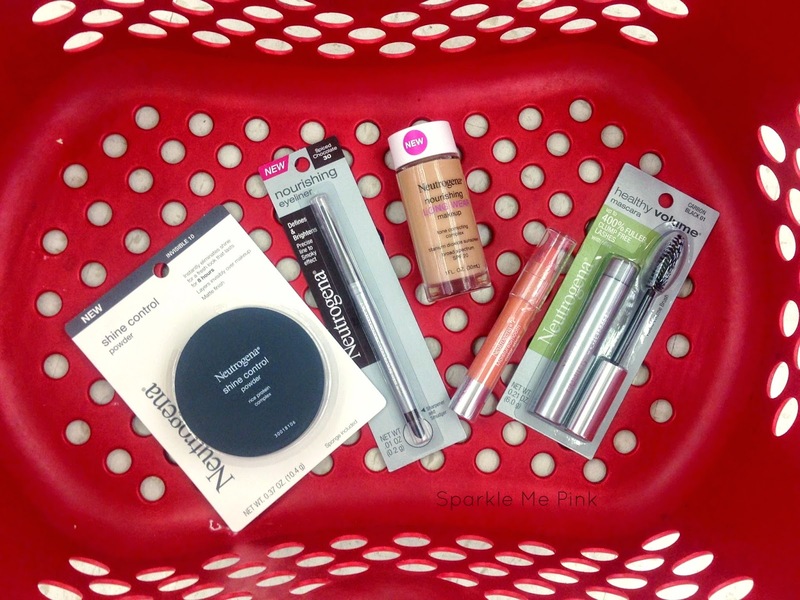 Check with your local Target store for Beauty Concierge days and times. 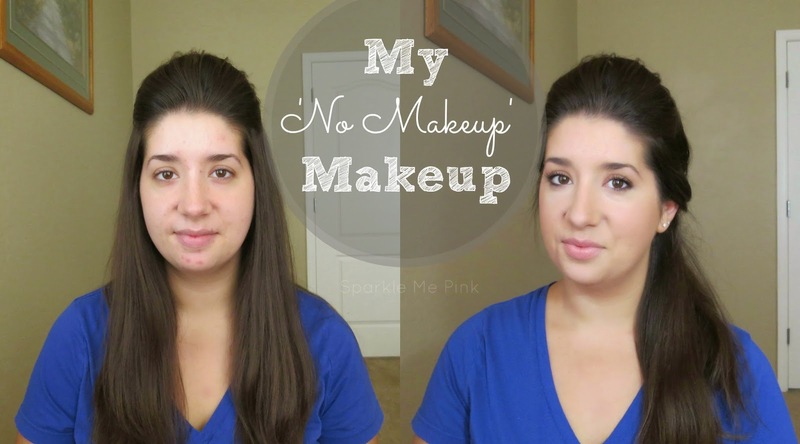 Let's get started on how to obtain this very natural, breathable, light 'no makeup' makeup look. Starting with a freshly clean face. I applied a light non-greasy moisturizer and waited for it to absorb. 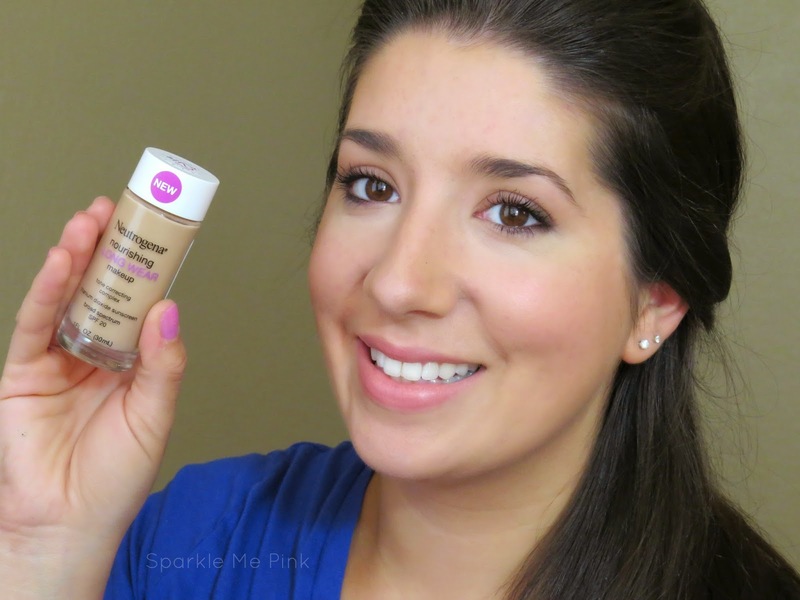 I then like to apply this Neutrogena Nourishing Long Wear Makeup with my fingers. Which is totally uncharacteristic for me - I love me my brushes. But there is something about the warmth of my finger with this formula that just seamlessly blends this into my skin. This finishes to a natural boarder line matte finish. I would say this is a light / build able medium coverage foundation. I need a little extra coverage in certain areas so I usually put a bit more foundation then go in with just a bit of concealer. I know - that face I'm making here - I should have checked the camera before moving on woops ! Don't forget to conceal the under eyes as well. This will really 'wake up' and brighten your face. While the foundation has a gorgeous semi matte finish I still like to set the look with the Neutrogena Shine Control Translucent Powder. I like to use a big fully brush or a stippling brush to apply this to the forehead, chin and 'T' zone area. 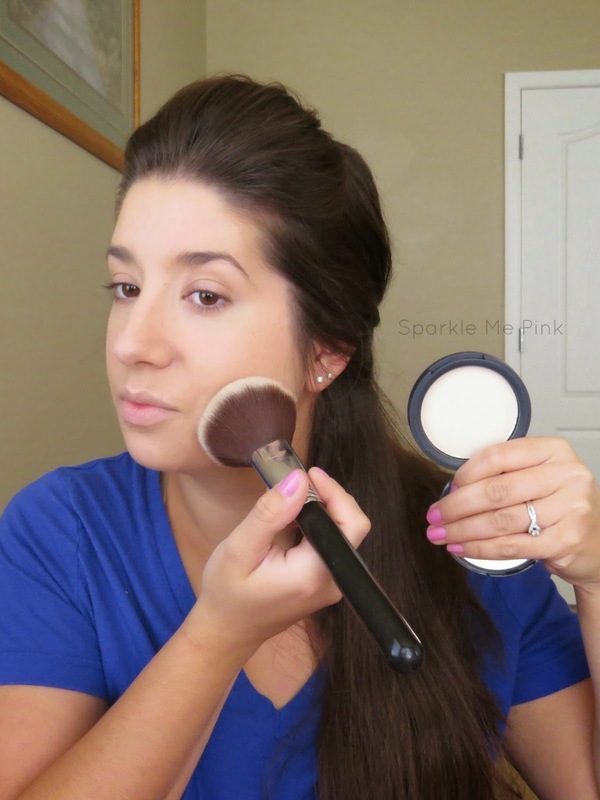 I like to use a natural pinky / peach blush - I don't really have one favorite at the moment I kind of rotate between 3-4. Then with a matte or slightly slightly glowy bronzer hit the tips of the forehead, and a bit right below where you applied the blush. Nothing crazy. No heavy contouring or anything precise. I also rotate between 2-3 different bronzers depending on how I'm feeling that day. 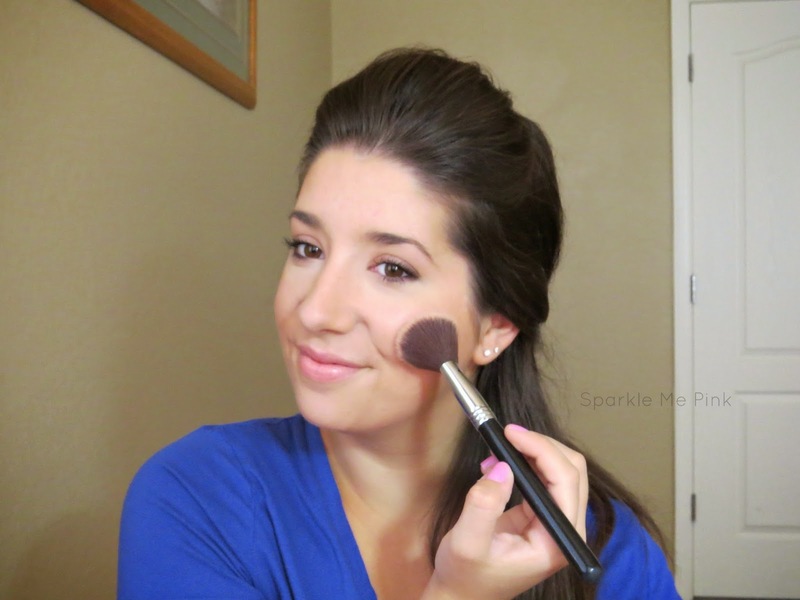 I start off by lightly blending medium warm brown shade into the crease to create a bit of dimension. 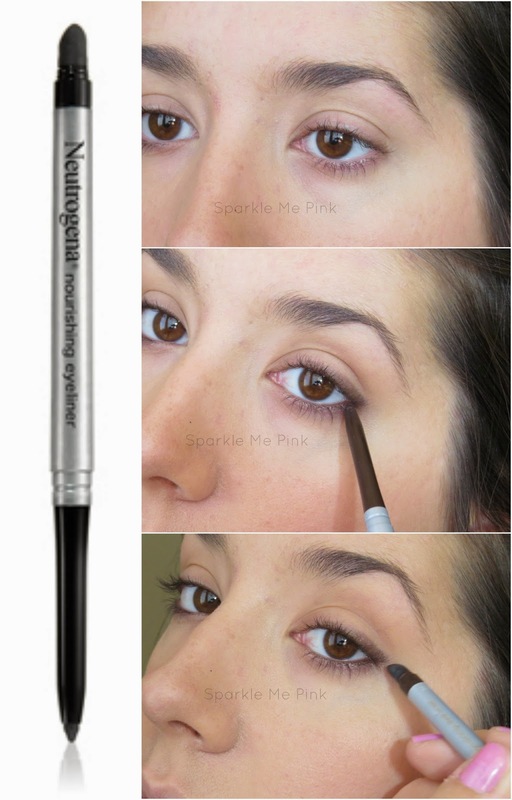 Then with the Neutrogena Nourishing Eyeliner in the shade Spiced Chocolate roughly line the upper and lower corner lash lines. Smudging this rough doodle with the rubbery buffer tip. We want the eyes to stay soft and natural but still defined. 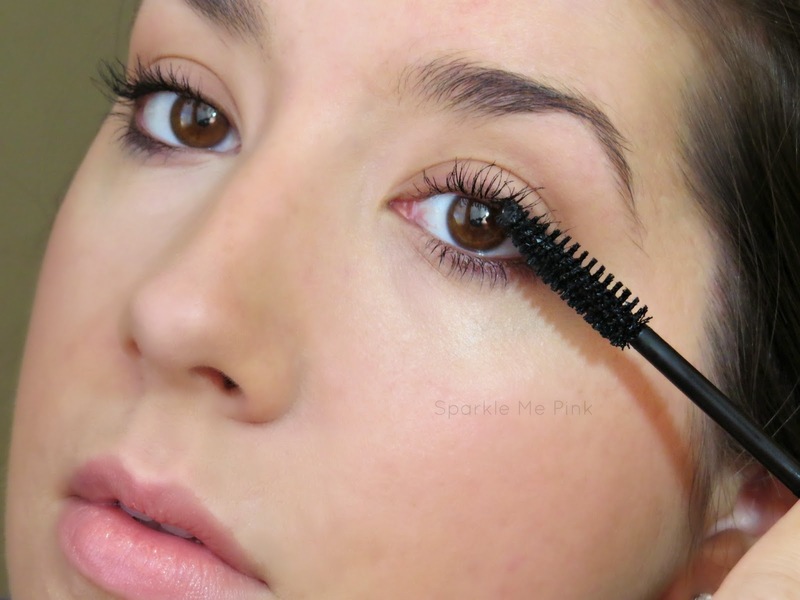 Topping off the eyes with a decent coat of Neutrogena Healthy Volume Mascara. I can honestly say that I have been super surprised by this mascara. It has quickly become my go-to tube. 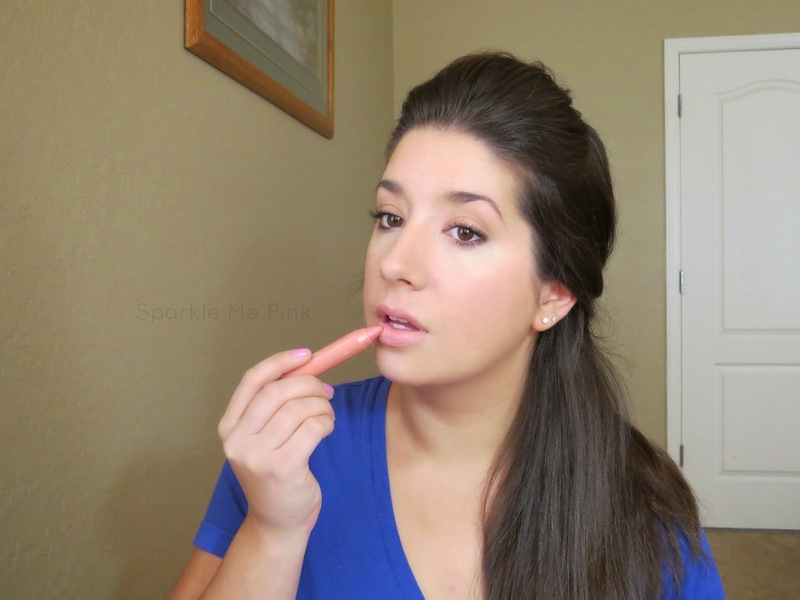 The final touch is to add some color and moisture to the lips with the Neutrogena Moisture Smooth Color Stick in the shade Juicy Peach. I hope you ladies have found this pictorial & video tutorial helpful. For some more inspiration on how to use these and other Neutrogena products check out Nashville star, Hayden Panettiere's All Day Beauty tutorial playlist. I love your tutorials! I think we have a very similar makeup style, so I am always learning something from you. So, keep 'em coming! 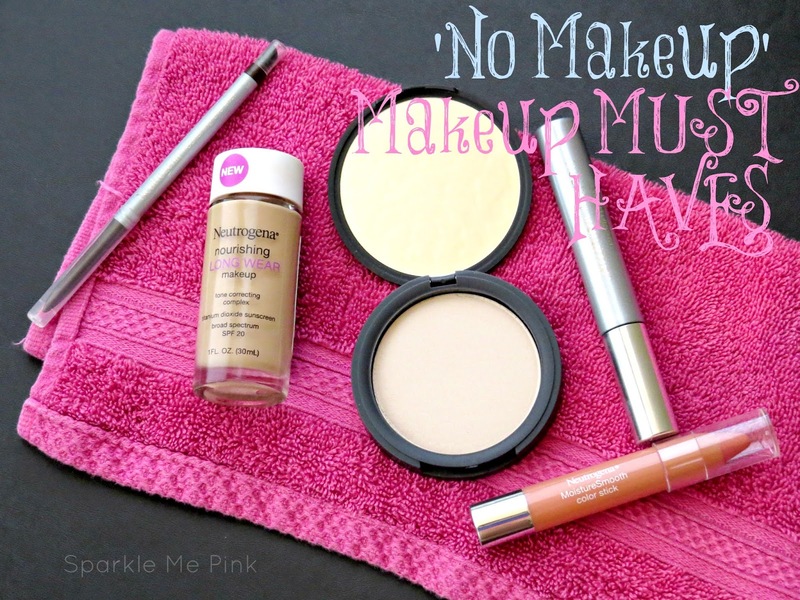 I love the no makeup makeup look... it's my go to every day! Perfect look! 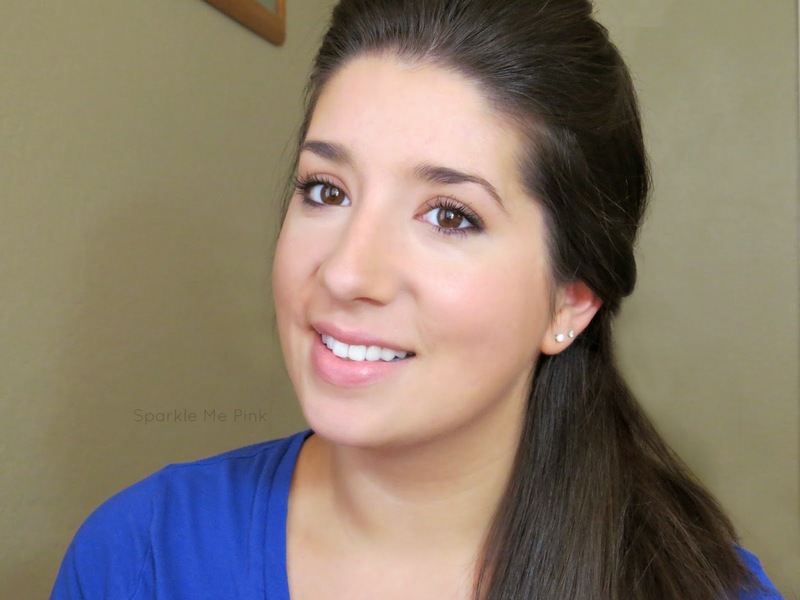 Quick, easy, and beautiful! Thank you so much everyone for the beautiful and sweet comments !